I have been a busy bee, and am super grateful to report that my Patreon has been flourishing. We're at 400 patrons in the community! I had no idea what the response would be, and the outpouring of support from so many folks wanting to fund my art on a regular basis has been incredibly inspiring and motivating. In fact: I have already released two things in the past month to my Patreon community! Now, I'm rolling them out to the public. I've had this project in mind for the past few years, and finally was able to make it happen thanks to my patrons. It's not your typical holiday fare; it's an EP of classic Christmas songs done in the style of Angelo Badalamenti's epic score for Twin Peaks. It's dark, it's moody and it's totally ridiculous, but it might also be the Christmas EP you never knew you wanted. Some of the songs also feature smokin' sax solos from Jon Natchez. He's wonderful! You can check out Chestnuts Roasting on an Open Fire Walk with Me here. Speaking of Christmas music, for those who might prefer a more classic, traditional sound, Sondre Lerche and I wrote a holiday song two years ago. You can check out "Surviving Christmas" here. I highly recommend you check out Sondre Lerche's music as well! Formerly known as "DAE 2," this is a song I wrote back in 2010! It's been a part of my live repertoire for a while, and I've always wanted to record it. I finally was able to, thanks again to my patrons! This is one of the main reasons I started a Patreon - I have written A LOT of music over the past decade, a lot of which would not necessarily end up on an album release. Now, I can share more of this music with the world. 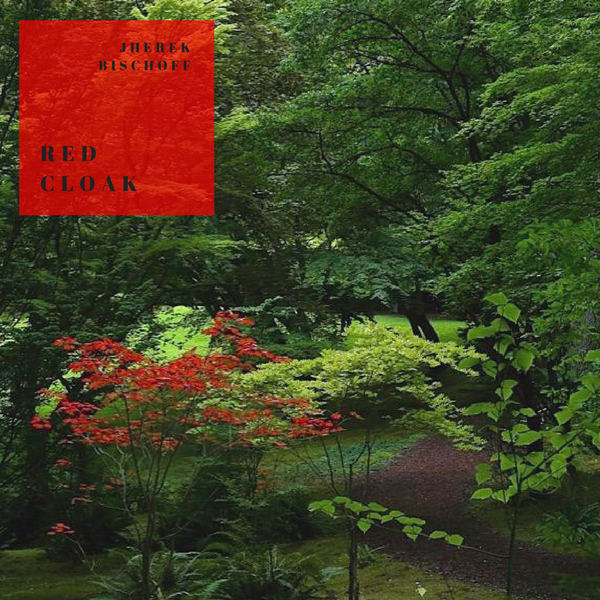 You can check out "Red Cloak" here. Special thanks to my First Mates on Patreon: Jürgen Ahlmer, Nathalie Boisard-Beudin, Karl Bischoff and Leslie Phinney, Lisa Forrette, Claire Lickman, Mark Alan Mendes, Ryn Miake-Lye, Virginia Willcox and Crystal Wilson. I am almost done with my next thing, and will be rolling that out to Patreon in the next week or so (public release to follow after). If you want to join the party and support my art directly, you can check out my Patreon here. Lastly, I put up the last bit of stock I have of my tuxedo t-shirts. Some sizes are sold out, so be sure to get yours here before they all sell out. Thank you for all of your love and support! Wishing you the best holidays and a glorious start to your New Year!